Rather than joining the herd in the overcrowded and overly competitive major cities and coastal provinces of China, Australian companies would do well to consider an alternative strategy of entering into a region where competition from other Western-owned businesses is extremely limited and where they can obtain first mover advantages. Shanyin County is a district in the north of Shanxi Province. Although its population is only about 230,000, its strategic location provides ready access to a huge potential market, not just in Shanxi but also the adjoining provinces of Inner Mongolia, Shaanxi and Henan; a combined population of almost 200 million. It is situated about three-and-a-half hours inland by road from Beijing and about four hours from Tianjin’s seaport of Xingang. Shanxi Province has historically been China’s main area for coal mining, with a consequent reputation for being dirty and polluted. In response to this the national government in 2010 designated the Province as a Pilot Area to promote the transformation of economic activity in a resource-based region. Implementation of the policy focussed on building an Eco Province encompassing ecological rehabilitation of mining areas and environmental protection in rural areas. Central to this would be integrated environmental management stressing the rehabilitation of river basins and improvement of urban air quality. The People’s Government of Shanyin County responded very enthusiastically to the new policy. The County generates very substantial revenue from coal mining and is investing much of this in transforming its image and reducing its people’s reliance on a single industry, thereby significantly raising their standard of living. The most graphic example of Shanyin’s determination to reinvent itself has been the relocation of its government buildings and commercial activities to a magnificent new town, a project which is nearing completion. The timing of this has proven to be particularly fortunate as the central government has just announced a five-year ban on the construction of any new public buildings throughout China, meaning that other counties will be unable to emulate Shanyin’s initiative. Under its very dynamic mayor, Nan Zhi Zhong, Shanyin County has rationalised its coal mines, closing small inefficient mines or forcing them to merge to achieve greater productivity and efficiency, and there has also been great emphasis on improving mine safety. 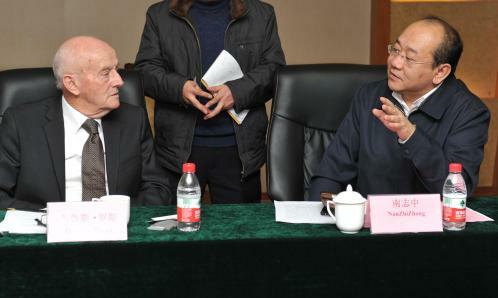 The County is also encouraging other energy based businesses to locate in Shanyin, but there is an insistence that any new industrial activities must be non-polluting. Industry which embodies advanced technology is particularly welcomed. The County has succeeded in changing the focus of its main rural activity, dairy farming, to large scale, modern and hygienic operation, and it is now very actively encouraging new investment in other aspects of animal husbandry, fodder production and the processing of livestock and poultry faeces. As part of the transformation of the County’s image and in order to provide new employment oppportunities for local residents Shanyin has devoted considerable resources to the development of ecological tourism through the creation of dedicated wetlands and man-made lakes on salt-affected land to encourage the proliferation of native birdlife and other fauna, as well as substantial investment in upgrading facilities at ancient military sites and other historic treasures such as the Great Wall. Shanyin County is committed to encouraging and assisting Australian businesses to bring their expertise and technology to the County by setting up operations there. The County will use its best endeavours to provide those companies with all possible benefits available at national, provincial and county levels. In addition the County will offer assistance in areas such as aiding market research and obtaining approval for company registration, etc. Mayor Nan is particularly keen to have Australian businesses establish themselves in his County, stating: “I admire the working style of Australian entrepreneurs and I’m hoping to learn from them in terms of effectiveness and success.” He sees the present relative backwardness of his County as providing significant advantages to foreign companies. There is a big space for development with abundant land, labour and electricity, and unlike most Chinese cities there are no problems with traffic congestion. Wage rates are very low compared to the major cities and coastal provinces, but the people are hard working and wanting to advance themselves. Typifying the County’s commitment to transformation, in May 2012 construction started on the Heshengbu Energy Industrial Park, which is about 10 minutes from County downtown and five minutes from the New Town. This industrial park is just one of 10 key construction parks of the County. Heshengbu Industrial Park utilises 10,000mu of saline and alkaline affected land which has been approved by the Provincial Land Resources Department as industrial land. The Park enjoys obvious location advantages, connecting 208 National Road, Dayun Highway [extending from Datong City in the north of Shanxi Provinceto Yuncheng City in the south] and Rongwu Highway [extending from Rongcheng City in Shandong Province to Wuhai City in Inner Mongolia Province]. There are more than adequate water, electricity, coal, heat, gas, and communication connections to the Park. There is abundant land for greenfield development. As a new energy industrial park, it is going to mainly focus on the development of coal chemistry, fine chemistry, bio-chemistry, chemistry new materials and electronic industries, while as a comprehensive park, it is going to play a leading role in the development of new high-tech industries of the County, of the city of Shuozhou and even of the Province. An 8-lane avenue will extend from the New Town to Heshengbu, while a 6-lane avenue will join the east and west of the Park. Very extensive landscaping will be carried out to make the Park a real showpiece. Already there are 10 projects in the process of discussion, site selection, registration and project approval. These include coal to oil, LED, ceramic particle processing, ammonia and urea, waste rubber recycling, etc. Two of Bruce Ross Consulting’s client companies are negotiating with the County about establishing their Chinese base of operations in the Park. On 19 June this year, Provincial Governor Li Xiaopeng carried out an onsite inspection of the Park. He fully affirmed the Park construction and called for more transformation of saline and alkaline affected land by further exploration and utilisation. The County committed to carefully making a good plan, constructing a high quality park, actively exploring and introducing new ideas, new methods, new types of industry transformation projects, and further utilising the saline and alkaline affected land to develop emerging industries and continuously expand the regional economy. 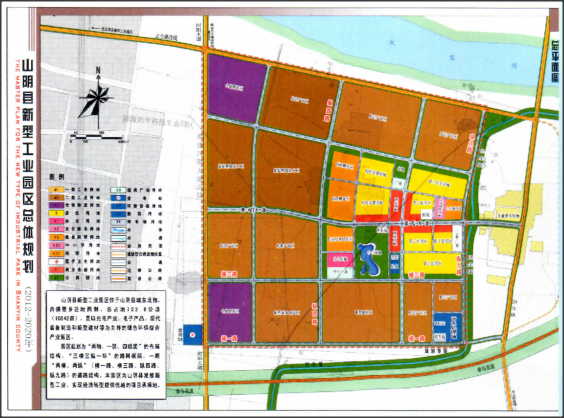 The County will comply with the requirement of the Governor and aim at the development targets of the City and the County, and put further effort into Park construction to ensure that the Heshengbu Industry Park has a high standard of design, high quality of construction, high speed of development and high efficiency of management, to create a model park with first class facilities and housing billions of renminbi worth of diversified and high-tech industries. It is clear that Shanyin County offers a very welcoming and supportive environment for enterprising Australian companies wanting to take advantage of the tremendous opportunities for profitable growth available in China.